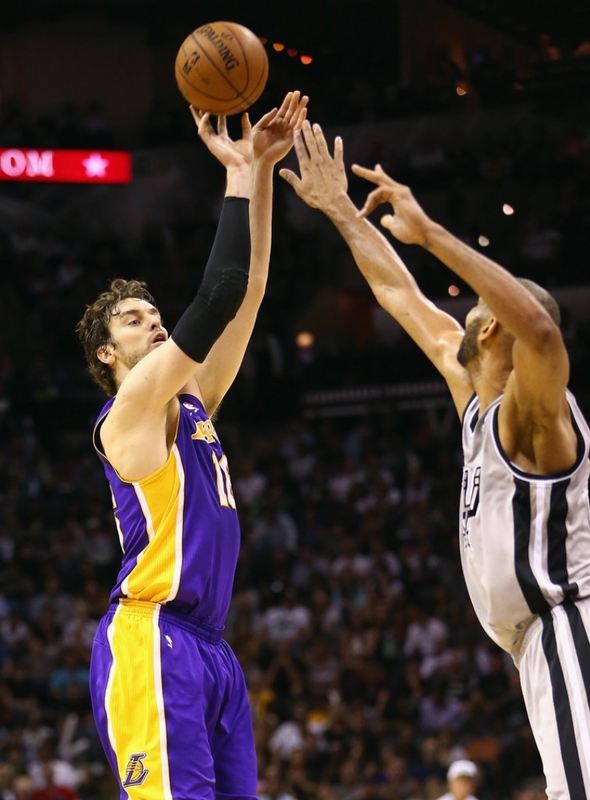 Pau Gasol #16 of the Los Angeles Lakers takes a shot against Tim Duncan #21 of the San Antonio Spurs during Game One of the Western Conference Quarterfinals of the 2013 NBA Playoffs at at AT&T Center on April 21, 2013 in San Antonio, Texas. NOTE TO USER: User expressly acknowledges and agrees that, by downloading and or using this photograph, User is consenting to the terms and conditions of the Getty Images License Agreement. - high-definition photo for free download.